DMMD develops and customizes multidimensional signal processing algorithms (1D sound, 2D images, 3D scans and multidimensional). Our solutions are based on DMMD developed and open source libraries to quickly and efficiently integrate hardware data acquisition with algorithms, visualization technologies, databases and network communications, across all OSes (Mac OS, Linux and Windows) and hardware platforms (Android, iOS and ARM embedded processors). At DMMD we seek the challenge of a new project and look forward to a potential collaboration with your company. If you are interested in hiring DMMD for your own project, please read our resume here and what our clients have to say about working with DMMD. DMMD uses Qt to develop a significant part of our software interfaces and DMMD is a member of the Qt Ambassador Program. Qt is a cross-platform application and UI framework. Using Qt, we can write applications once and deploy them across desktops, mobile and embedded operating systems without rewriting the UI source code. Ken Lee, President, VanGogh Imaging, Inc.
Jason Simon, President, SimonDR, Inc. If interested in partnering with DMMD please download our resume or information about our CTO . 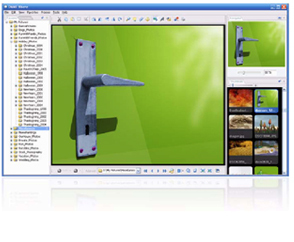 DMMD releases the alpha version of Extollo, a cross-platform autobuild system. DMMD releases the Exuo PACS server as freeware. DMMD releases Photoshop Host SDK. Run Phothsop filters in your own application. DMMD brings to Visere support for a multitude of 2D and 3D cameras, including: Canon, Point Grey, Prime Sense, and most web cameras. DMMD releases Visere 64 for Linux. Through this release, DMMD shows a strong commitment towards a multi-OS, image processing platform. Visere 6.0 Alpha and Photoshop plugins (for denoising and image enhancements) are now available for download.